Lachey's ("The Garage") in OTR. Drew Lachey will be there to welcome us! Kick-off at 12:30 pm. Doors open at noon. 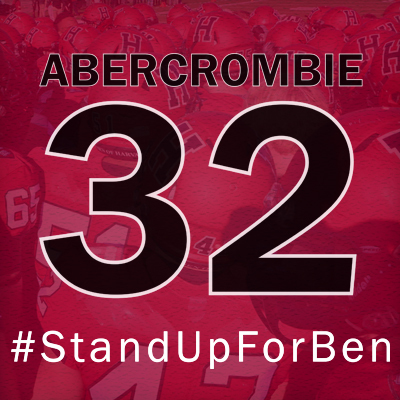 SILENT AUCTION TO BENEFIT Ben Abercrombie '21 Fund for injured athletes. Be there for the unveiling of a new tradition, the Wishbone Traveling Trophy! 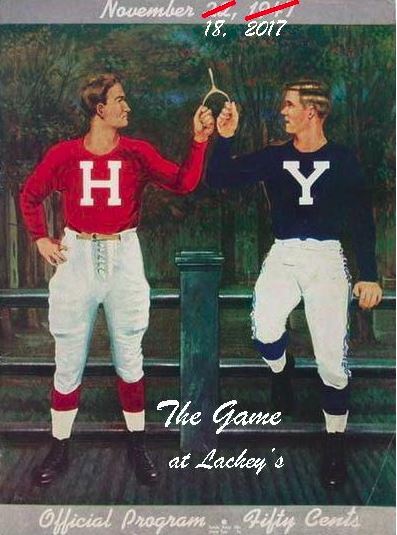 The wishbone theme was inspired by the cover of the Official Program for the 1947 edition of The Game (above). “Sic transit gloria mundi” or “worldly things are fleeting”. Benefit Auction of Harvard Football Swag. Harvard freshman Ben Abercrombie suffered a serious cervical injury while making his Harvard football debut at the University of Rhode Island on September 16. The Benson M. Abercrombie '21 Fund has been started to help Ben with the many challenges ahead. Dave Rogers, HCC member and former football player for the Crimson, arranged for a number of Harvard football items to be donated for our Benefit Auction. 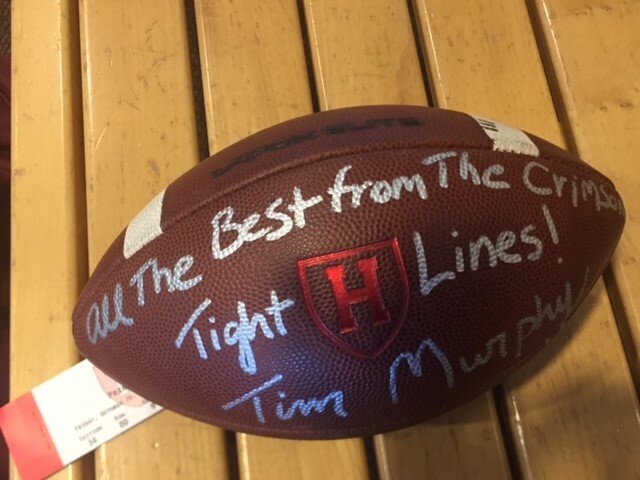 HCC Director Nelson Lees met with Harvard football operations ahead of the Princeton game to pick up those items, including an autographed football from Coach Tim Murphy, sure to be a treasured Harvard memento! In support of this great cause, Yale is contributing auction items, too. Come support the team and Ben! Please contact Nelson Lees, nlees1771@gmail.com, with any questions. ... a total of 28 guests.